Any medical doctor will agree, that wearing an ICE ID (Medical Emergency Identification) is of utmost importance for Epilepsy patients. Most individuals equate epilepsy with convulsions, but epileptic seizures can produce many different symptoms; two large groups of seizures are termed partial and generalized. Symptoms may range from whole body convulsions to simply staring into space to barely noticeable muscle twitching. Each type of seizure has a distinct set of symptoms. 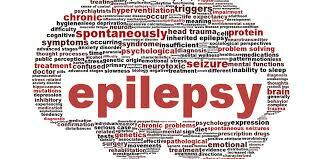 In contrast to absence seizures, generalized tonic clonic seizures (grand mall seizures) are easily recognized. These seizures usually begin with stiffening of the arms and legs followed by jerking motions of the limbs. Many individuals may fall from a standing position when the seizure occurs; bladder or bowel control may be lost and the person may bite their tongue and/or cheek tissue. The convulsions may last up to about three minutes, after which the person may be feel weak and confused. Tonic clonic seizures that last more than five minutes constitute a medical emergency – Netcare/ER24 should be called. First aid for seizures involves keeping the person safe until the seizure stops, and/or calling Er24/Netcare. Call emergency services for a seizure lasting more than five minutes, if it recurs, or if the seizing patient is pregnant, injured, or diabetic. Contact the name of the patients next-of-kin listed on their ICE ID to let them know about the seizure. Keep yourself and others around you calm. Keeping the seizing patient safe involves a few simple procedures such as preventing any further injury by removing anything hard or sharp adjacent to the patient, placing the patient flat the floor on something soft like a jacket a blanket. Remove eyeglasses and removing ties or anything around the neck that may inhibit breathing. Do not restrain the person seizing or try to stop their movements. Turn the patient onto his or her side and put something soft beneath the patient's head to help breathing. Do not place anything inside the person's mouth. Time the seizure; if it lasts five minutes or longer, call emergency services. When the patient returns to consciousness, be reassuring (call them by their name listed on their ICE ID - this creates a relationship straight away) and helpful and stay with the patient until they are fully alert.